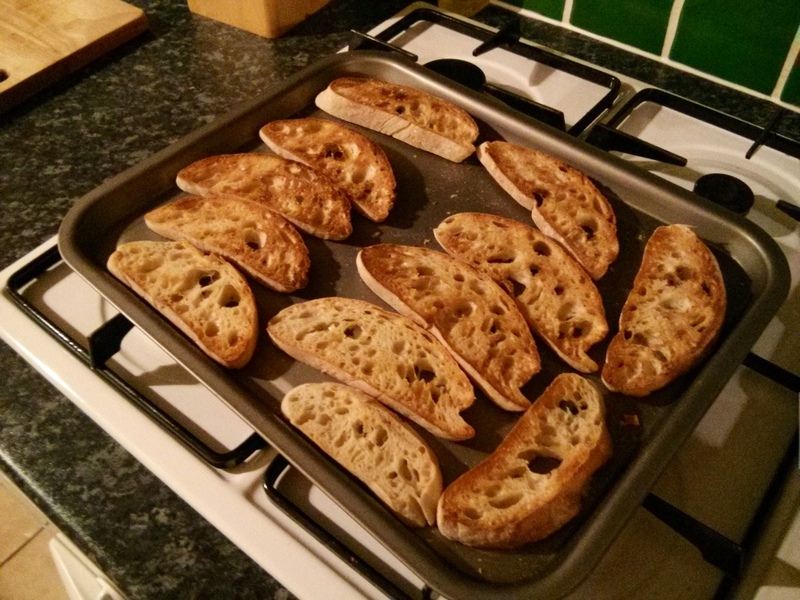 Yesterday we had a bonafide Italian in the house, so I took advantage and asked how real Italians make bruschetta. Not surprisingly, it’s much simpler than the hundreds of versions you find on the internet. In fact, if it hadn’t come straight from the horse’s mouth I probably wouldn’t have believed it could be so easy. The first thing which surprised me – although maybe it shouldn’t have – was that I was told to use cherry tomatoes rather than regular salad tomatoes. At first, this filled me with dread. I sent up a silent prayer that I wouldn’t have to stand at the kitchen counter patiently deseeding dozens of tiny tomatoes. Then, in answer to my prayers, it was revealed that deseeding the tomatoes, whatever size you use, is unnecessary. I halved, quartered and diced the tomatoes, added salt and olive oil and then came the next surprise. There was not a basil leaf in sight. What? 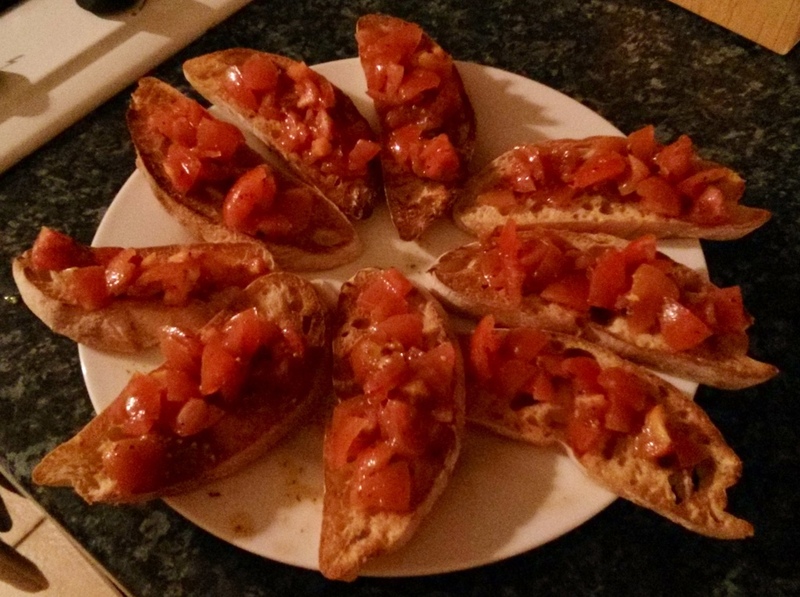 You mean bruschetta is not just a caprese salad on toast minus the mozzarella? You mean Italian food is not just a variation on the tomato and basil theme? No, instead I was told to use oregano and, when I protested that I didn’t have any fresh oregano, I was reassured that dried is perfectly acceptable. Toasted ciabatta (toasted without olive oil), cherry tomatoes, olive oil and oregano. 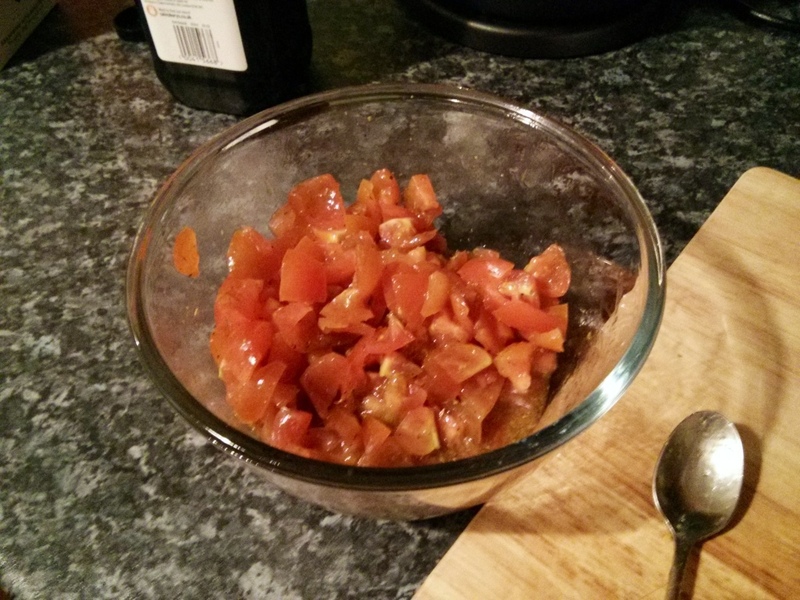 No grated or finely diced shallot or red onion, no balsamic, no basil, no faffing around deseeding tomatoes. I should have known it would be so straight forward, the best foods usually are. Am I telling porkies? No, it really was that good. your posts make me so hungry! keep up the good writing and cooking!